MoYou Nails is located in London, UK. This peel off latex will Keep your nail polish from getting on your cuticles. A must have for nail stamping, water marbling, gradients & sponging polish nail art. 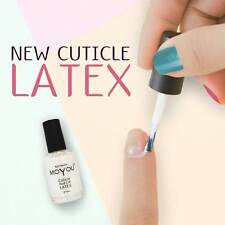 You can use not only black color gel polish. Nail Mirror Effect Powder. You can use this powder with nail stamp art, with french manicure art. We have to try our production. So it is your imagination. OPI Nail Envy Collection, Dry Brittle Nails, Soft Thin Nails, Original & Matte!! OPI Nail Envy Original Nail Strengthener 3.75ml. Item: 1 x 3.75ml bottle. File, buff and clean nails. Soak nails in a glass bowl filled with a small amount of pure acetone, or wrap each nail in cotton pad soaked with pure acetone for around 5 to 10 minutes. Provides a revolutionary new colour service for nails. gdi Nails, Brand New "Green Series" Soak Off Gel,UV Led Gel Nail Polish Varnish. Our pictures are there for guidance that you are buying the correctproduct, not the correct colour. You Little Shade Shifter. Lincoln Park After Dark. The Set Contains: (4 x 3.75ml).